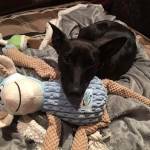 "I just wanted to thank you for helping Bella and I with dog training over the summer. Your tips helped us out SO much and we were able to pass the TDI test! Yay!" 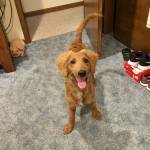 - Aimee S.
I have a very head-strong, overreactive Labradoodle rescue, very sweet but with some serious behavioral issues. Although I have had dogs most of my life, Leesie was more than I could handle. Jeri provided the practical tools, specialized training (for me and my dog) and support we needed. One month later, Leesie is a different dog, not just by my estimation, but also Jeri's and my friends. While we will need to continue to practice, I am now having fun with my dog! Thank you so very much, Jeri!!!!! I need to start by saying I was skeptical. Not about Jeri or Bark Busters, but about Bentley, my almost 2 year-old Golden Retriever. Bentley is a great dog. A little rambunctious as young Goldens are and very smart. The training we have done on our own has been very successful. We've been dog owners for a long time and most of the tried & true methods have worked. Additionally, this was not our first Golden. We thought we knew what to expect. Walking, however has been miserable. This has been so bad that it was becoming an undesirable chore to walk our dog. Our other dog, Lilah was even starting to pick up bad habits on the walk with Bentley, so the entire situation was degrading quickly. We tried every command, multiple leashes, different styles of walking mixed with positive and negative reinforcement and nothing worked or at least progress was always minuscule and short-lived. We were ready to try anything and spend anything to resolve the situation. 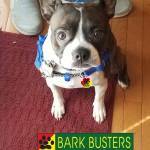 We already knew of Bark Busters through local professional relationships and we decided to give Jeri a call. We explained everything that was going on and she said she could correct this behavior in one session. Here is where my skepticism kicked in. I know this dog. He likes to test and push on the leash. He wants to dominate the other dog, chase squirrels and try to 'herd' the walker when he wants to go see something. Jeri came to the house. She took a few minutes to get to know Bentley. From the moment she walked up our driveway, he was excited to see her like she was returning home from college. He had never met her before. She talked to him, talked to us and then we did some practice inside the house using a different style of collar and new commands with a mix of verbal tones. Within minutes Bentley began to respond. I was amazed. We took our training outside and began to work there using our normal walking route including all the favorite spots to stop and meet the local kids, favorite dog areas, etc. It was like night and day. Next we came up on two usual problem areas.The deer path and the basin. I thought to myself, here is where we are going to go south. Let's see how Jeri handles this. NO PROBLEMS. Reinforcement of the techniques we had learned mixed with a stern but not mean demeanor and Bentley was a changed dog. Still, after all that, I was not ready to write this review. I thought, let's see what happens when Jeri is not here. Well, as you can see, I am writing the review. He and I still have a little work together to understand our tones and commands but I have to say, this is now a completely different and enjoyable experience walking my best friend. The last walk we took was actually a walk and not a contest! My arm is still in the socket and Bentley is no longer foaming at the mouth and panting from over excitement, pulling and exhaustion. This has been well worth the time and dollars spent, which were very reasonable and I would do it again in a heartbeat. If you are having the same problem, do not hesitate to give Jeri a call. Well done and thanks. I am so happy we found Jeri Wagner. She has changed me and Kobi for the good. He was biting, jumping, pulling and barking and she taught me and my family how to work with Kobi. Before our second lesson we had more control of the situation. What an improvement and how it has changed so much. We have much more control. I know I am very happy and I know my family is too. We also really enjoy the puppy socialization classes he goes to. Thank you Jeri for helping us. Ronald’s behavior has been much improved since Geri has been out to work with our family. We are very grateful for her help. 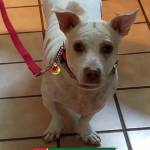 We saw positive results in our cattle dog mix within the first two week of this program. The homework Jeri gave us taught us how to communicate with Nova much better and not allowing her to run the show. I will recommend Jeri to anyone with a dog giving them issues and am so thankful that someone had recommended her to me. Thanks! We noticed a difference in Tito the first week of training! Jeri was so very helpful to us and reassured us that we could do this. I am always emailing her my questions and she is so quick to respond back with a helpful answer. We've also had other family members comment on Tito's good behavior, which makes us feel good too! I've already recommended her to other family members with dogs. Thank you Jeri! Jeri was great and addressed all of our concerns. She was patient and clear with all of her instructions. We believe that Chip has responded well to the training and has become a better behaved dog. Jeri was very professional and easy to talk to. She replies to messages and emails ASAP. Overall great teacher and great experience. :) Thank you! Jeri was very courteous and informative. She arrived on time for both sessions and was very friendly. She took the time to explain the lesson criteria in detail and answered all our questions thoroughly. She was a real pleasure to work with. I've already recommended the Bark Busters group class to some other puppy mamas. It has been so helpful for me as a first time dog owner to learn practically how to be a better leader for molly. Its been a good bonding experience just coming to these sessions and I feel much more confident and connected to my dog. I've worked a behavioral therapist for children yet I've been surprised at all the things I've been doing wrong! Very glad for the clear instructions, guided practice and feedback from my specific questions. Thank you so much Jeri! 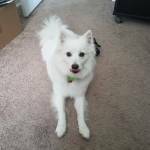 Our dog, Ivory an American Eskimo, pulled on the leash, was very reactive on the leash, barked frequently and was aggressive towards our other dogs at times. Bark Buster has helped tremendously, I would recommend them to everyone! Jeri was very comfortable to work with, she is knowledgeable, patient and informative. We have a much happier household now that we can effectively communicate with our dog. She is also a great resource for food/toy/game information. Jeri was very thorough and wanted to make sure all of our issues were addressed. Jeri was amazing in teaching me how to train Harlee. She was able to customize the training towards Harlee specifically. When one thing did not work she was able to try another technique that was effective. In the past month, I have seen my dog improve. I look forward keep the process moving forward. Our first session was very thorough, going over all of Rascal's issues. Jeri helped me modify my behavior and she chose several techniques for our beginning training. She also answered all my many questions and was able to reinforce some since that time in e mails. Great experience. Our stubborn German Shepherd has greatly improved with listening. We still have work to do but feel so much more confident with Bark Busters support. Jeri is so approachable and will answer any questions and we are grateful for all of her advice. Jeri was awesome. We just had our follow-up lesson. After our first lesson I contacted Jeri via email and phone. She responded promptly and offered great advice. She was very encouraging when I was frustrated with Honey's progress. She was very knowledgeable about all aspects of Honey's life, including dog food and toys to keep her occupied. 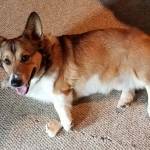 I felt comfortable asking questions about Honey's behavior. Any issue or question we had Jeri had an answer or suggestions of things to try. We would definitely recommend her to others. The techniques I have been taught in order to address issues with my dog have been effective. With practice and consistency I have seen improvement in my dog's behavior. I have learned that my dog's behavior is a direct reflection of my behavior. As I work to change my behavior when interacting with my dog, I see the difference it has made. Jeri was great teaching us to speak 'dog'! The lessons were easy to follow and very effective for Murphy. We feel more confident as a family that we are being good leaders for him. Jeri was very helpful with our dogs needs. After the first training session, we could see a big difference in his behavior. we are actively working with Charlie. 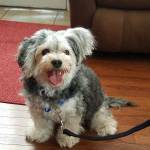 I have already gave a recommendation for Bark Busters to a lady who has a Havapoo with behavior the same as my dog! My husband and I are very impressed with Jeri's professionalism and knowledge! We have implemented Jeri's suggestions based on our first initial visit and seeing improvements already. Our whole family is on the same page which helps a lot too. Jeri has a unique program for each dog and the interactive toys are wonderful! We highly recommend Jeri to anyone needing training for their dog! Jeri was friendly. Covered our issues extensively. No rushing at all. Her instructions were easy to understand and are working! They were easy for our Jack to understand too. Every minute we spent with Jeri was a pleasure. She really knows what she's doing. 10! 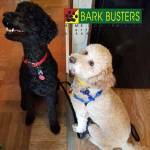 I am very pleased with my experience with Jeri and Bark Busters. I was having a tough time handling my Weimaraner and Jeri took the time to find out the areas of concern and worked with me and my children. We were able to see some improvements right away. It does take time and dedication. But so worth the investment to have a happy dog and family. Jeri was easy to talk to and to the point. She addressed all of our needs and now we have to be consistent with practicing them at home. We already have seen improvements in both our dogs. While this method of training is different from our previous experience, we have seen progress in just a week. Jeri is very pleasant and encouraging, Her enthusiasm is contagious. We still have a lot of work to do to help Chester behave as we would like. Jeri is fantastic! She gave so much patience with all our dogs and my husband and I. It was ALOT of information to absorb in a short amount of time. Jeri made me feel confident however that I can do this and she is always available for help. It's only been 3 days since her initial visit and teaching us how to train our Rottie and we've already had small wins and continuing to see improvements. The techniques we are learning from Jeri are working - we are seeing Zoey become more obedient and responsive to commands. We are move aware of how our entire family's behaviors affect Zoey and of the importance of consistency. We do understand that the changes won't come overnight, but because we have seen improvements it is giving up patience to trust the process and stick with it. Jeri has been extremely responsive and has explained everything to us in a straight forward, easy to understand way. We highly recommend Jeri and the Bark Busters program. Jeri was fantastic! She was very professional and worked great with my dog. Her direction was easy to understand. We are already seeing results. I would recommend Bark Busters and Jeri to anyone needing assistance with their dog. My introduction was successful. After many frustrating "puppy" months I could immediately notice a difference after progressing through the training steps that were good for my girl. I also have another adult dog, so I had to adjust to incorporate them both in the training so no one was "left out." The issues or progress that we have made may not be the same for someone else, so I have used only some of the techniques that I felt were important for Sister Bear to thrive. The key for me was the consistent reinforcement of the training and the praise, love, and affection for both dogs. So far, we are very pleased, however, we have only had the first two lessons. Jeri is wonderful with the puppies and extremely helpful to us. We are a family of six, so I commend her on her patience with all of us and her ability to get us all to be consistent. Jeri seems very knowledgeable, she gives us the information, models the behavior she wants from us & the pups, and she then gives each of us a chance to practice as she assists and corrects. She also gives us the reasons for commands and behaviors so that we better understand the importance and reason for each. We all benefit from Jeri's encouragement. Jeri has made herself available to us via phone and is willing to return if needed in between lessons. Bark Busters seems like a wonderful program and we are looking forward to enjoying our well behaved labradors for many years to come. Please note: in answer to your question regarding Bark Busters value for the money we only rated four stars due to the fact that we have only had 2 lessons and do not feel we have had enough time to see results to rate five stars. We are confident we will reach five stars as our pups grow. OK it has only been a few days but I am amazed how well Odin is doing using Jeri's techniques with him. The stress level in my house is way down then it was before she came. She is truly remarkable with all her knowledge and patience that she has. I can't wait until she returns to see how well he is doing and learn so much more from her. Jeri is great!! Jeri was great to work with and very professional. Jeri has helped us establish a good routine for our new puppy. The whole family knows what to do to keep Max trained, happy, and healthy. We are so grateful! 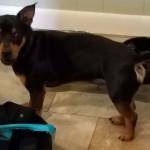 My 3-year-old miniature pinscher/terrier mix, Maizie, was becoming very territorial/ protective around bones, toys, our home and myself. For a year and a half I worked with her constantly, researching hundreds of techniques online, buying all kinds of equipment from different harnesses to a backpack, and even took her to a trainer, but nothing seemed to work. I was always worried. I was starting to feel she was a lost cause, and then a puppy came into our lives, and she was like a whole new dog with him, so I knew she could improve. My husband and I were encouraged and happy that the two dogs got along, but also knew we didn't want the puppy to adopt her bad habits. That's when I was referred to Jeri. With a reactive adult dog and a new puppy, we have a lot on our plate. But after our initial phone call, I knew Jeri could help us. The questions she asked were pointed and informed, and I could tell this was something she's seen before and she knew what needed to be done. Having her support has felt like a huge weight lifted off my shoulders. We've had one session so far, and my dogs are already listening better. There is a ton of free information out there, but every dog is different, and not everything you read is right or right for your dog. You really do need a professional to come in and analyze the situation and guide you. I love that she's always there for us if we have concerns or need to alter something. Especially since now Jeri knows us, knows our dogs and what we've been through. No other trainer will ever know my dogs as well as Jeri. And I have to say I love the fact that it's one flat payment up front, and now I have the peace of mind that Jeri will always been there for us for the lives of our dogs. That alone is 100% worth the financial investment. I've spent so much money on toys, grooming and vet visits--in comparison, this was a fraction of the cost and just as important (if not more important) to keep my babies happy and healthy. We had an awesome experience with Jeri! She is so friendly, helpful and knowledgeable. She was so sweet with our dog Harry and very patient with us as she helped us learn how to best communicate with Harry so he knows what we are asking of him. We are now almost 3 weeks in and have seen huge benefits from applying the bark busters training method in our home already! Harry has shown huge improvements with walking on the leash and is much better at following our lead, rather than the other way around! Consistency really is key with the training, but the methods are so easy to implement into every day life. I would highly recommend Jeri and Bark Busters to anyone who has a dog! We have made great progress in just 3-4 days. We still have much work to do, but I am thrilled by our progress so far. Every day we are still learning with Kobe. He has showed improvement but he is a young puppy and still needs practice. Jeri really knows what she is doing. She had great techniques and taught us how to use certain commands consistently to communicate with our puppy. She also made a huge difference in helping to Walk captain-he has improved significantly. Our introduction to Bark Busters with Jeri Wagner was a huge success. We only had our puppy, Maddie, for a week, and soon realized that we were in need of some direction. Jeri focused on the essentials of training without being too overwhelming. It was tremendously helpful but, practice and time lead to perfection, or at best, a well trained dog. We're looking forward to meeting with Jeri in a few weeks. Ryder is doing so well in such a short time! The WaggWalker works amazingly! Ryder walks so nicely and now I can take him for walks and to baseball games without being pulled. We learned so much and can handle Ryder much better now! Thank you! After our first session with Jeri we noticed a world of difference in our dog. He stopped all of his most annoying habits almost immediately, and listens so well- especially now that we know how to talk to him! Our house is much more peaceful, and we are happy dog owners. Thanks Jeri! Jeri gave us good instructions on what we needed to do to get our dog to trust us and become less anxious living with the family. Because our dog was a rescue and didn't have much socialization as a youngster she has major trust issues which we are working to improve. Jeri didn't overload us with training expectations but allowed us a basic exercise to practice daily which is helping our dog to gain our trust. We are making progress slowly but we can definitely see results. Grizzley is much better with visitors at the front door. Still a little unsure about the mailman. We've had them meet and he gave Grizzley treats. Some days are good, some not as good. Figure he had issues in his past that he can't forget. He still loses his attention at times, but "bah" works to bring him back. We absolutely loved having Jeri come into our home. She was able to explain things to us that just made sense. Hannah has improved so much in such a short period of time. We as humans learned better communication with our pets. Thank you! Jeri addressed all of our concerns with Bentley and Nick. We have learned how to better handle our dogs and establish that we are in charge. I would highly recommend Bark Busters. Jeri Was very thorough when explaining the techniques to be used for training. We are on the right track. Still have a lot to learn. Jeri is a great trainer. We have learned so much from her and Ollie responded well to her presence. We have a husky and he was a really really strong puller and Jeri gave us techniques which changed the way he walks 95%. Its awesome! We finally have a well behaved pup. Although it is a lot of work on your part, I couldn't be happier. Jeri first diagnosed what was going with our rescued dogs aggression and put a plan in place to address Pokies issues. She explained to us the basis for Pokie's aggression and taught us numerous techniques and strategies to help him. When Jeri left after our first meeting we knew exacting what we needed to do and how to react to Pokie. I am very happy to report that thanks to Jeri our dog Pokie has improved very much. There is no doubt in my mind his improvement is due to the custom program taught to us by Jeri. Thank you Jeri. There are no words to express how happy I am with the training my dogs and I received from Jeri! I purchased two Yorkie puppies on New Years Day for my two teenage daughters. We had no control over these adorable pups at all. They were calling all of the shots - and we were letting them. They would cry and bark all night and I would often ask my girls to sleep on the floor next to their pen! One visit with Jeri and all of that changed. She taught our pups (and us) that we, the humans, are in charge! I work from home a lot and it is so much easier now that I can simply say "settle" and they calm right down. I was honestly considering giving our puppies away before Jeri came and brought peace back into our home. She is a miracle worker!! Jeri was really helpful in transforming our puppy into a matured dog! She analyzed Axel in the initial minutes of her first session and helped us understand his behavior. She was very patient and highly informative. Our family loved working with her. When Jeri first came to us we had a very hyper, jumpy, mouthy and nipping 4 month old Cane Corso on our hands. With 2 little kids in the house as well, we were desperate to get him under control before he got too big. After the first visit and working with our daily homework, Ziggy is a completely changed puppy. Yes, still a puppy and full of energy we now know how to use that energy in a positive way and work him with attentiveness and recall. Thank you Jeri for helping us all live a happier life together. We decided to work with Jeri to get more personalized attention in training my daughter's service dog. Daisy had gone through basic manners training but needed to work on some issues before getting into her service dog tasks. Specifically she pulled on the leash and jumped up on people. 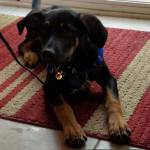 Jeri introduced us to the Wagg Walker and that along with daily exercises took care of the issues on leash very quickly and Daisy is now very well mannered on leash. The jumping was a bit more challenging but after a couple of Jeri's initial suggestions didn't work out for us she suggested using the water bottle to get Daisy's attention and this worked great. Jeri works with you on an individual basis and meets the specific needs of you, your dog, and your situation. A lot of service dog trainers use treats for everything and it is nice that Bark Busters accomplishes the same basic training without the need to constantly have treats handy. Jeri is very patient, knowledgeable, and is available any time to answer questions and provide support. We highly recommend Jeri and the Bark Busters program. Jeri was very patient with Maddie who is a very shy dog. She gave us a lot of great techniques to try. Maddie started picking up the basic commands within the first couple of days. Even though Maddie is still struggling with getting potty trained, Jeri is always just an email away. Nice to know you have knowledgeable support. Jeri was very easy to understand and showed us how to communicate with our dog. Her suggestions on changing her diet were helpful as well. She was responsive to emails when we needed additional guidance. 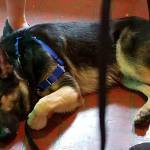 Our dog's behavior (especially on the leash) has improved drastically! I also think the harness she showed to us really helped. Definitely would recommend her to anyone who needs help with any behavioral change their dogs, need no matter how big or small. Great class for new puppy parents and young pups! I was very impressed with the training and what a great help Jeri was to me. She made me realize that it was most important for me to make the changes on how to handle our dog and that would reap the best results. It has been such a drastic change in 5 weeks - Bowie has become a calmer dog also. Hi Jeri. Wanted to drop you a short note and let you know Lexie is doing well with just a few days into her training. We had our first less stressful day with our granddaughter yesterday using the distance training. Lexie is doing better with visitors also, she is still very excited but less frequent jumping. With lots of practice I am confident she is going to nail this!! Thanks again for your help! Jeri was great to work with, she was both patient and informative. Kya is nearly 7 years old, and I was worried that her hyperactivity would be impossible to control. After just the first lesson, I saw a change in Kya's behavior. We have been following Jeri's tips, and have seen an amazing improvement. I would recommend to Bark Busters to anyone who was looking for help with their dog. Jeri came well prepared and explained everything in ways that were simple to understand. Our puppy has responded well to the training and we look forward to future sessions! I was referred to BarkBusters, specifically to Jeri Wagner by my veterinarian. He strongly recommended that I get Jeri to help train my 9 months old Great Pyrenees mix, Jake. Jake is a hyperactive 80 pounds puppy, with a number of problems needing to be addressed: jumping, pulling, chewing, house breaking, digging, recall, boundaries. From the first minutes with Jeri, I understood that I have to change my attitude towards my puppy, and his behavior will change. She taught me how to be in charge when walking on a leash, and how to correct Jake's behavior depending on circumstances. Following her visit, I had homework to do, in applying her teachings. I have seen improvement in my attitude, and in Jake's behavior from the first day. I am very impressed, and I understand that the success depends on my efforts to change myself and to correct Jake's bad behavior. One week later, Jake is showing improvement in some areas that seemed impossible to correct before meeting Jeri. Both Jake and me are a work in progress, but I am sure that we both will be completely changed after following through with the program. We really like the fact that no treats are used for training. The training process is working well and the dogs have responded especially well to the techniques used to stop barking and bounding to the door when the bell rings. Also getting great response to the general commands as well as correctional commands/process. Still working on our leash walking - coming a bit slower but we all are committed. I've used other training programs and by far this is the best! I've already referred a few friends. Jeri is very knowledgeable. She works with the dog and owners, including helping me plan ahead if I do need Theo trained as a service dog. Her approach has helped make sure Theo starts off well with a lifetime of learning. She has been key in helping to ensure both myself and my husband are more consistent with our approach, which as been key in training success. I would highly recommend her as a trainer. We are only a few weeks in to training, but our 6 month old boxer is responding well. We are still learning and perfecting commands, but have made great progress. Jeri was great, personable, attentive, responsive and fun! Mazie is doing so much better now that we Speak Dog. I understand MazieÃ¢Â€Â™s behavior better and it helps us love her more. Jeri is always prompt. Her demeanor is relaxed but assertive with Lulu. Jeri explains, demonstrates, and monitors return demonstrations. Criticism is always constructive. Jeri has made training our new puppy fun. IÃ¢Â€Â™m enjoying this bonding period with Lulu. As first time puppy owners, the information Jeri provided in the first session was very helpful to our entire family. Understanding how a puppy thinks, why he acts/responds a certain way and the role we need to play as the "parents". One of the things we walked away with is that you need to be consistent with the training. We have worked with Scout every day for at least 20 mins on some of the items we learned and he seems to be responding well. Looking forward to our next session. We've been working with Jeri since June 2016 for our dog Rory. She's been immensely helpful in helping us get better control of Rory when she's around people. Rory used to be terrified of new people and slowly went from running away and hiding to loud, intimidating barks. With Jeri's help, we've been able to show Rory that not all people are scary and she's accepting new people who come to our house. It's been huge to have people comment on how much of an improvement they've seen since we started working with Jeri! I just wanted to thank you for helping Bella and I with dog training over the summer. Your tips helped us out SO much and we were able to pass the TDI test! Yay! Everything went well. We were impressed with the training we received. So far I'm really happy with Jeri. We had one session and another one coming up. The walks are a lot better, no pulling the leash. We still have to remind her and get her attention. The main issue is aggression towards strangers. We will work more on that in our next session. I'm really happy I signed us up for this. Wanted to update you! Been meaning to for a while. I hate to even say anything because I feel like somehow I'm going to jinx it!!!! But things have been going really well with Penny. Now that Nolan is walking she I think totally gets him better. We have her sleep in the kitchen when he is in the living room just because that was clearly a stressor for her. He is running now so we can't contain him to half the living room. I haven't seen any resentful or jealous behavior. We bring them together and they are fine. Nolan isn't overly interested in her but she gets super excited to see him like she would me and Ryan. I feel like she has accepted him. She has removed herself from situations if he is following her too much she will go on another room. Overall, right now we are happy with how everyone is coexisting and getting along! Nolan feeds her food from his high chair and tonight she came and sat next to him in the living room as he was eating Cheerios. Nolan would share some. Very pleased with our current status! Ryan takes them on walks when it's not 100 degrees out lol. Thanks for everything! Will reach out in the future if we have any issues or need help! We've had two home visits with Jeri and I cannot say enough about how helpful those visits have been. In our experience the Bark Buster methods are very logical and easy to implement. Jeri is a good listener and a good teacher; we feel incredibly fortunate to have her expertise! After one week I am impressed with the way Jake has begun to react to training. He actually looks like he wants to be trained. Oscar has shown improvement, he has his spot at the door, sits and waits for his leash, stays until it hears OK then will go out. The same when he comes in. We are still working on the hyperactivity, barking and leash training. The hardest thing is, for me, to remember is to be calm and not to give him attention when he wants it. The training was very helpful for us. River was barking uncontrollably and Jeri helped us get this under control. She taught us how to take the lead instead of allowing River to lead us. Thanks Jeri!! 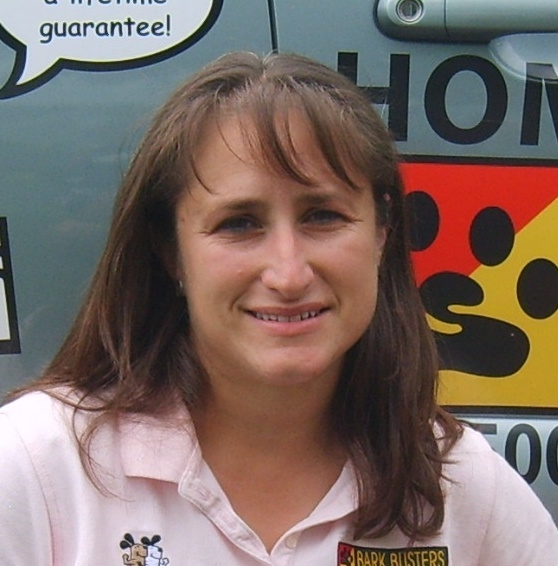 Positive for every aspect of Bark Busters and of course Jeri, our therapist. Benny's progress has been unbelievable! Our walks are fun again without being constantly pulled by him and his barking with the BAH/Settle or Leave it command has worked wonders! 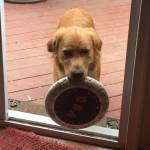 We couldn't be happier with Jeri's dog training methods. In under a week we've already seen a drastic change in our dog for the better. Our dog is responding very well to the commands and training that we received. We highly recommend Jeri for any of your dog training needs. Jeri is very informative and thorough. Her techniques with Cooper have been very easy to follow and he is doing great! We contacted Bark Busters a few months after adopting Brandi to help us with leash pulling, hyperactivity and some aggression we could not control. Jeri was immediately responsive to our request and stepped right in to help. 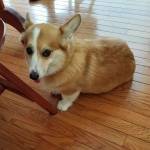 We were thrilled with the results and the process of us being trained on how to train Brandi. Learning the reasons behind some behaviors and having us as owners doing the trainings with the expertise of Bark Busters was extremely beneficial. After the first session we noticed fast results in the leash pulling which gave us the confidence the rest would fall into place and so far so good! We've learned so much more than we expected and now are so happy Brandi has settled in with us for a lifetime of happiness. Jeri is a fantastic dog trainer. I saw a change in KING the first time she was here. She listens to what you have to say and didn't try to talk over you like other people do. The second time she was here you could see a big difference in King. Jeri makes you feel very comfortable and explains and makes sure you understand what you are doing. I can not wait until the next time she comes. I am a hard person to please but I am pleased with Jeri. Jeri is wonderful! She addressed every issue our dog was having. It's amazing the difference in only 2 weeks. We are very excited in such an improvement in Tucker's behavior so quickly. It's worth every penny to have a better behaved dog! Thankful for Jeri and Bark Busters! Jeri Wagner is an amazing trainer!! After only one session I saw marked improvement. My boy was a disastrous mess, now I call him my angel boy because he is soooooo good. Jeri always make herself available, and has all the answers to my questions. She taught me how to effectively communicate with my dog, and I am grateful to her for salvaging the relationship with my dog!!! I just bought the Wagg walker, and it works like a dream after just a few minutes practice,my boy acts like a gentleman! !Thank you Jeri & Barkbusters!! Jeri did a great job with Lucy and Darla! We had a possible aggression issue with the dog which made us very nervous about our future with our puppy. Jeri came out for an emergency visit to help us through this. She also reached out to the rescue we adopted her from to let them know our situation. Problem resolved, and I am glad we didn't make any quick decisions to give our beloved Chelsea back! Jeri had provided us with the necessary tools and training methods to help Kaia eliminate aggressive and passive behaviors. Kaia has eliminated all aggressive behaviors towards household members. We are currently working on front door and barking control as well as eliminating leash pulling and refocusing her attention. Jeri was great. She explained everything so good and answered my questions. My Jack started responding very quick. I would recommend Bark Busters to friends and family. Thank you! The moment Jeri started working with Carmen she was immediately receptive. The greatest thing about Bark Busters training is just the little differences in the way I speak with her or direct her to do things has changed her entire attitude towards my authority. I could not be more appreciative of the lessons I have learned and will continue to learn working with my dog! Since the training is focused on the human rather than the dog, I feel bad for Jeri as she had poor students to work with, But she was patient with us and we have seen much improvement in the behavior of our dog, Alfi. We know it will be an ongoing process with Alfi, but he is getting better and better and is more fun to be around than when we first got him as a 2 year old Chihuahua. Jeri was excellent in explaining what to do and what not to do while training. Although it has only been 3 weeks, we are starting to see results.